What’s a doughnut got to do with the future of economics? My guest on the podcast today is Kate Raworth and her doughnut model is making big waves among economists, politicians and policy makers. Kate is a renegade economist who focuses on exploring the economic mindset needed to address the 21st century’s social and ecological challenges. She’s the creator of the Doughnut of social and planetary boundaries. As you’ll hear in this episode, it’s a simple but important way to think about balancing economic prosperity with available planetary resources. Kate’s a Senior Visiting Research Associate at Oxford University’s Environmental Change Institute, where she teaches on the Masters in Environmental Change and Management. She is also a Senior Associate at the Cambridge Institute for Sustainability Leadership. Her internationally acclaimed idea of Doughnut Economics has been widely influential amongst sustainable development thinkers, progressive businesses and political activists, and she has presented it to audiences ranging from the UN General Assembly to the Occupy movement. And today, she presents the Doughnut to listeners of Informed Choice Radio. Her new book, Doughnut Economics: Seven Ways to Think Like a 21st Century Economist, was published in the UK and US earlier this month. It’s also being translated into Italian, German, Spanish, Portuguese, Dutch and Japanese. She holds a first class degree in Politics, Philosophy and Economics, and an Masters in Economics for Development, both from Oxford University. 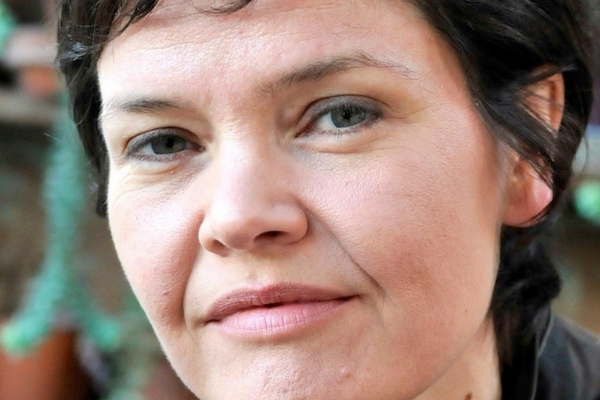 She is a member of the Club of Rome and serves on several advisory boards, including the Stockholm School of Economics’ Global Challenges programme, the University of Surrey’s Centre for the Understanding of Sustainable Prosperity, and Oxford University’s Environmental Change Institute. 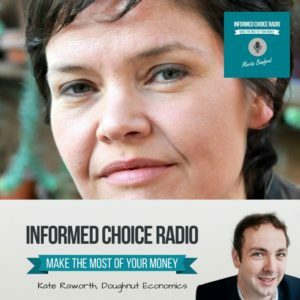 I really enjoyed this conversation with Kate, so much so that it inspired me to read Doughnut Economics in full and gain a better understanding of the arguments in the book. 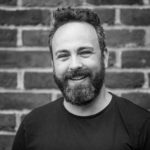 -Could you start by defining Doughnut Economics? It’s a fantastic name for a book, but what’s it mean? -Why are economists, and the traditional economic model, why is that so obsessed with maintaining the equilibrium? -What are some of the ways in which mainstream economics have led us astray to date? -How do we get to a place where the practice of economics respects social and planetary boundaries? Does that require a complete revolution or is something we can achieve through a gentle evolution? -Do you think it will be a case of a combination of individual changes to lifestyle, to behaviour and then some big progressive leaps forward from politicians, governments and sort led at the top?